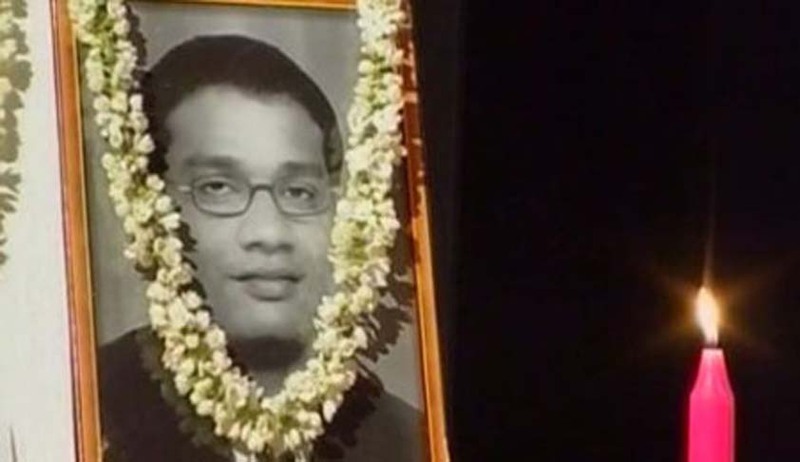 The Supreme Court of India today dismissed the appeals filed by six persons who had been convicted for killing Manjunath, an Indian Oil Employee in 2005. Manjunath had exposed corruption in Lakhimpur area of Uttar Pradesh, causing the services of Petrol Pump of the persons relating to accused persons be disrupted. All the six persons who had appealed to the Apex Court were found guilty by the Allahabad High Court and the Supreme Court today dismissed their appeals, while maintaining the sentences awarded out to them. The High Court in its judgment dated February 11, 2009 had awarded life term to six persons who were found guilty. In 2005, Manjunath had inspected the petrol pump of the now convicted persons and on finding some irregularities, the sales and supplies of the petrol pump were suspended by the IOC at his instance. Thereafter, on November 20, 2005, the police had found dead body of Manjunath in a vehicle that also had the convicted persons in them. One of the convicted persons then also confessed that they had killed Manjunath and that they were going to dispose of his body, before police encountered them. Thereafter, after due judicial process, the Trial Court awarded death penalty to a convict for the murder of Manjunath while sentencing others to life imprisonment and other smaller punishments. However, the High Court thereafter changed the sentence of the convict awarded death penalty to life imprisonment, while maintaining the sentences awarded to others. The High Court also gave the benefit of doubt to two co-accused persons and acquitted them. The Counsel also submitted that the judgment of the High Court is based only on conjectures and surmises and not on any cogent and reliable evidence. He claimed that the case of the prosecution is based on only circumstantial evidence and that it has failed to connect all the chain of events. The Counsel also tried to expose loopholes in scientific reports and claimed that the place of occurrence of the event is doubtful and that the evidence against the accused persons was planted. He also submitted that the accused persons had no motive to kill Manjunath and that the case against them is a fabricated one. Additional Advocate General Gaurav Bhatia appeared for the State of UP and submitted that, “this is an unfortunate case where an Officer of the Indian Oil Corporation was brutally murdered by the accused for honestly carrying out his duties.” He also submitted that the prosecution had made its case beyond reasonable doubt and that the Supreme Court should entertain the appeal only if it involves a substantial question of law. Relying on Dalbir Kaur v. State of Punjab (1976) 4 SCC 158 and Shivnarayan Laxminarayan Joshi v. State of Maharashtra (1980) 2 SCC 465, the Supreme Court decided to entertain the appeal and eventually went on to dismiss the same. The appeals were then dismissed, with no change in sentence that was awarded by the High Court.